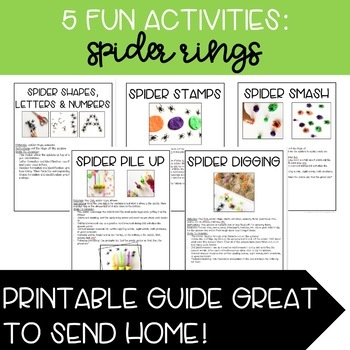 Printable no prep activity guide containing 5 fun activities using spider rings! 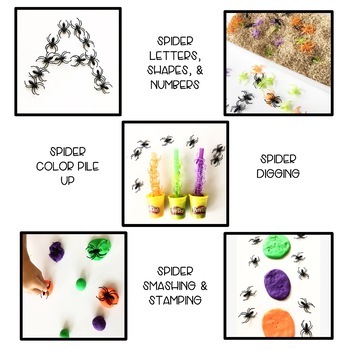 Promotes expressive and receptive language skills, fine motor, counting, colors, or open ended for drills. 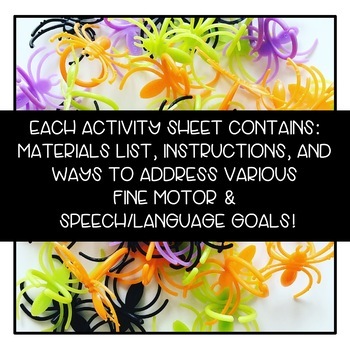 Each handout contains a materials list, instructions, and suggested goals for fine motor and speech/language development. 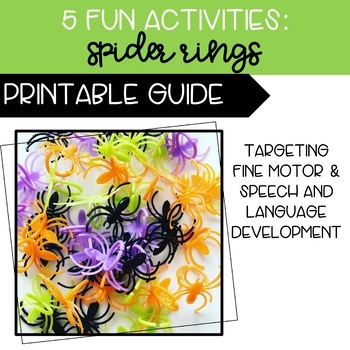 This is a great handout to give parents or to incorporate it into the classroom/ therapy room!